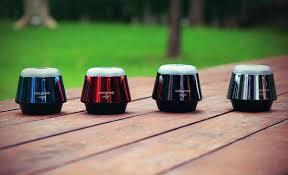 Most portable speakers utilize a single amplifier to reproduce the entire audio spectrum. 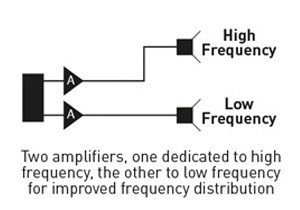 With a single amplifier design, most of the demand goes into producing the lows and mids, which thus compromises the delivery of the highs. On the other hand, the Sound Blaster Roar utilizes two amplifiers - one dedicated to driving lows and mids, and another which is solely dedicated for delivering the high frequencies. 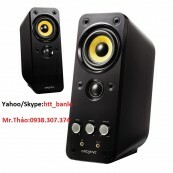 This allows the speaker to produce uncompromisingly clear, high definition, well balanced music. 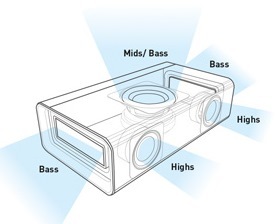 The top-firing bass and mid-level driver is also laid horizontally, reducing the speaker's center of gravity, thus stabilizing it. While many other portable speakers produce small, constrained sound, the Sound Blaster Roar is designed to deliver space-filling audio. 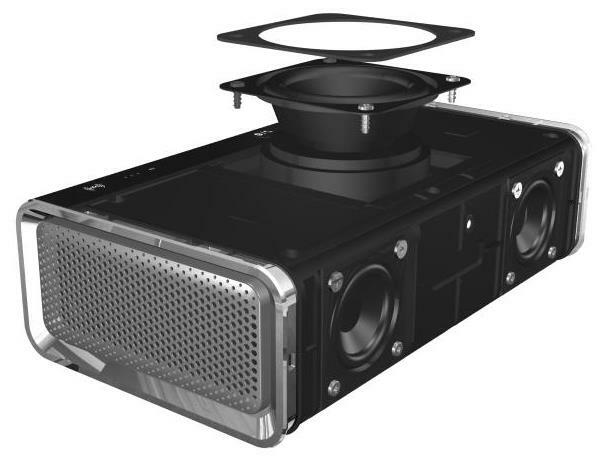 That's because we have incorporated far-field high frequency drivers in the Sound Blaster Roar, and these project audio further than most other speakers in its class. This is complemented by the boxer-style layout, which also delivers a room-filling, nonsweet spot-specific audio experience. Most other portable speakers either focus on audio power thus compromising audio fidelity, or vice versa; this removes the power of choice from end users. The Sound Blaster Roar is designed to be different. By default, it produces balanced, high fidelity audio. And in scenarios where sheer audio power is needed - such as in large parties and social gatherings - users can press the ROAR button that instantly boosts the loudness, depth and spaciousness of the audio. The active 2.5″ driver pumps out impressive bass. Directing the audio upwards also stabilizes the speaker and provides for a wider soundstage that does not require the listener to be situated in the audio sweet spot. Not only that, it is further complemented and enhanced with dual opposing, side-firing passive radiators that widen the soundstage dramatically. The rigid monocoque endo-skeletal chassis has fewer internal components that vibrate individually. This translates to lesser energy wastage and better audio quality. Durable and lightweight high-frequency drivers deliver balanced highs. These dual 1.5” premium drivers are also designed to provide far-field high-frequency dispersion. 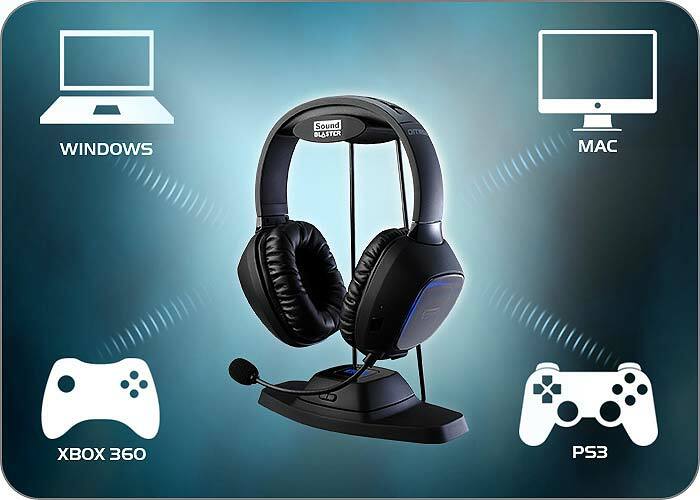 All it takes is a tap, to pair your NFC-enabled device wirelessly to Sound Blaster Roar. If your phone doesn't come with NFC, you can always connect via Bluetooth the good old-fashioned way. Sound Blaster Roar supports aptX® and AAC codecs, giving you low-latency Bluetooth connectivity that's as good as a wired connection. 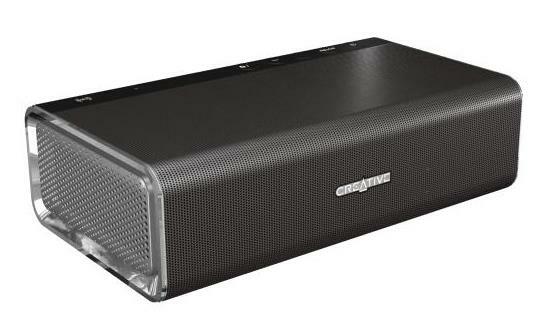 The Sound Blaster Roar is not just a wireless speaker for smart devices. 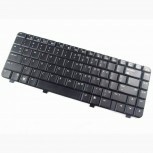 Users can connect it to their PCs or Macs via USB to enjoy clear digital audio for their desktops or laptops. Connecting the speaker via USB enables advanced PC audio processing via the downloadable software, Sound Blaster Control Panel and full access to the SBX Pro Studio™ suite of technologies that intelligently enhance audio in real time. 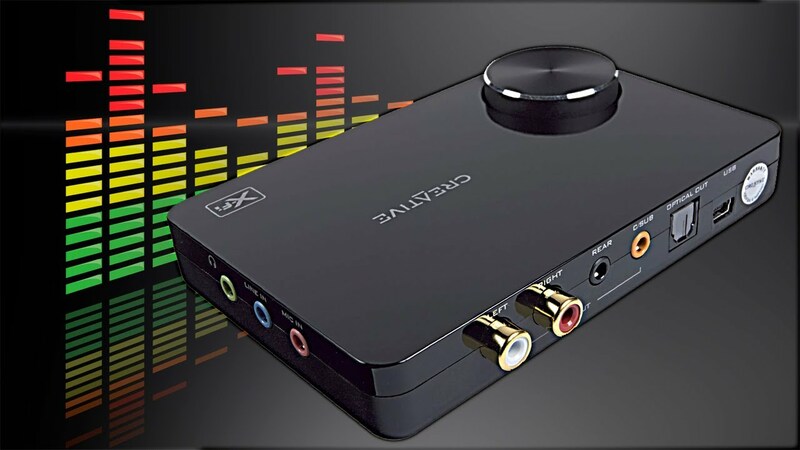 Sound Blaster Roar comes with an integrated Aux-in port for connection to other analog audio devices. Sound Blaster Roar's built-in 6000mAh battery makes it highly portable, giving you the flexibility to place it anywhere or to bring it along with you. Play your music non-stop for up to eight hours2. And, when it's out of juice, simply charge it using the proprietary power adaptor or the micro USB cable. With its high-capacity built-in 6000mAh Li-ion battery, Sound Blaster Roar can be used to charge your smartphone, so you'll always have backup power whenever you need it. Holding on to your phone throughout a lengthy call can be tiresome. Conduct hands-free conversations with Sound Blaster Roar by simply speaking through its built-in microphone. Simply insert a microSD card3 containing your favorite songs and press the play button to enjoy them. 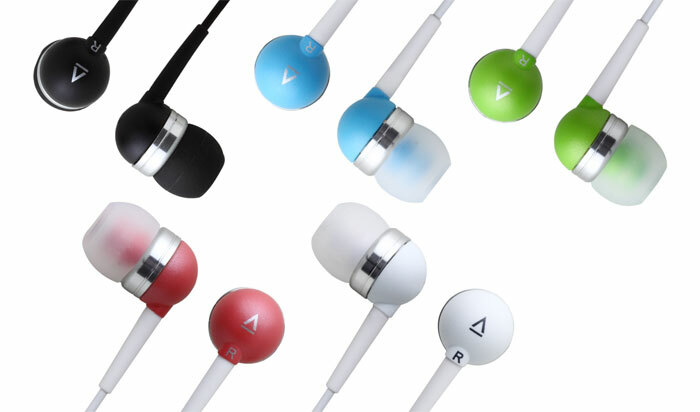 A great option if you do not wish to commit your mobile phone for music playback. The Sound Blaster Roar's voice or audio recorder allows recording of audio directly into a microSD card3. You can even record voice calls! In Bedtime mode, Sound Blaster Roar gradually reduces its volume before automatically shutting down, helping you save power instead of playing music throughout the night. Sound Blaster Roar comes with a special mode that plays tones and sound bites at random intervals to keep you alert. The built-in one-touch siren lets you instantly grab attention when you need to - for instance, at an outdoor group activity or during an emergency. 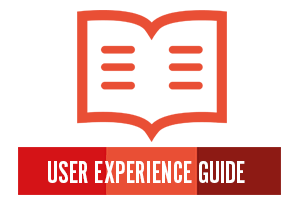 Get acquainted with the Sound Blaster Roar's controls, connectors and connectivity options with the User Experience Guide. We've also included a brief description of the speaker's architecture and the technologies found within it. 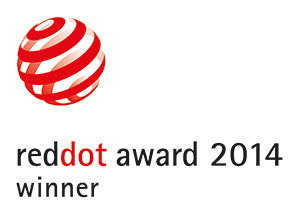 Winner of the prestigious 2014 Red Dot Award for Product Design, the Sound Blaster Roar combines modern design with the latest technology for intuitive functionality. *Supplied interchangeable plug(s) may vary according to region and country. Computers: PC (Windows XP/Vista/7), Apple Macintosh. 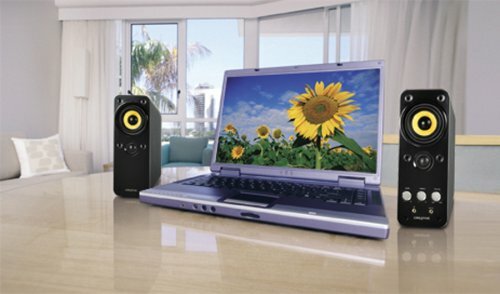 Notebooks or PCs with A2DP-enabled Bluetooth technology.